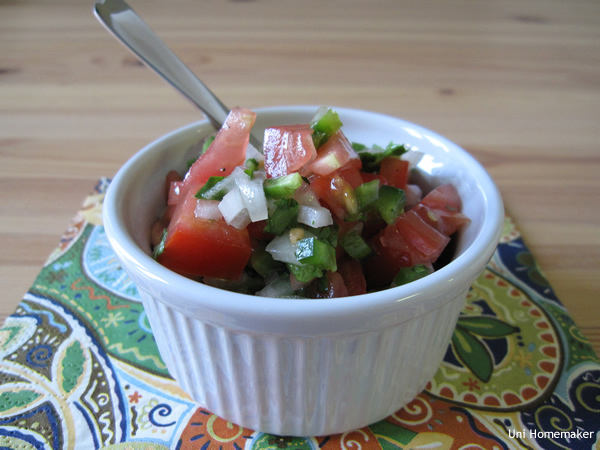 This pico de gallo was included in the three meat chili nachos we had a couple of nights ago. Feel free to sprinkle it on top of your nachos or have it with tortilla chips. Yum!